JC Equipments are an ISO 9001-2008 certified leading manufacturers of Fixed Tube Sheet heat exchanger in India. We are one of the leading manufacturers of all types of Industrial Heat Exchanger India located in coimbatore south India. Established in 1989 to manufacture and export all types of industrial heat exchanger in INDIA. 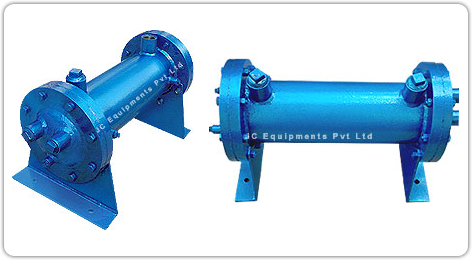 The heat exchanger is widely applied in the engineering and most common type of heat exchanger in all Industries. Fixed Tube Sheet Heat Exchanger Materials: Stainless Steel, Copper Alloys. Other material options as available. Higher-pressure and Higher Temperature applications. Transmissions and hydraulic power packs. Water and chemical process fluids.